The PSD files are available in 15 sizes from small to big, which perfectly fit various promotional purposes. You can definitely use these free PSD template for web banners and social media banners. 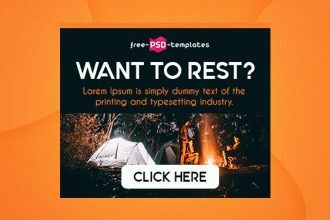 Download this free hosting banners collection template for Photoshop now to promote your business in the most effective way! You are welcome to download our new freebie – 15 Free Makeup Banners Collection in PSD. 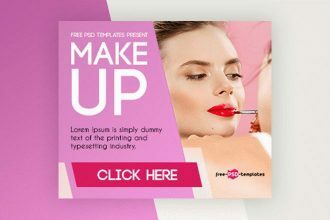 These easy-to-customize banner PSD templates will perfectly fit the promotional purposes of any beauty-related business. 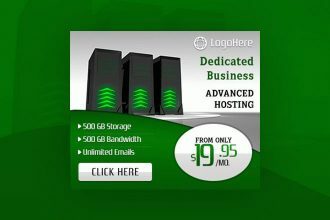 You are welcome to download our new freebie – 15 Free Hosting Banners Collection in PSD. If you are looking for premade banner templates for the promotion of your hosting business online, then this 15 multipurpose web and social media banners collection is right for you! You are welcome to download our new freebie – 15 Free Travel Banners Collection in PSD. 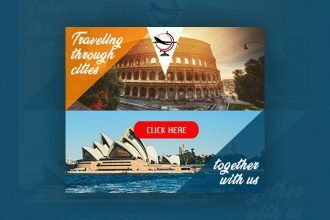 It has been designed by our seasoned graphic designers for the business and promotional needs of travel agencies, tour operators, airline companies and travel-related businesses and companies. Download and enjoy our new freebie – Free Startup Bi-Fold Brochure in PSD. 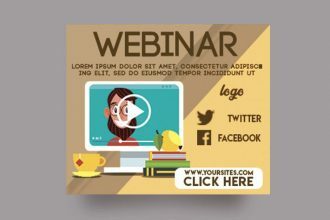 If you need to promote an upcoming webinar, our free webinar banner mockup is available for free download right now. You are welcome to download our new freebie – 15 Free Business Company Banners Collection in PSD! 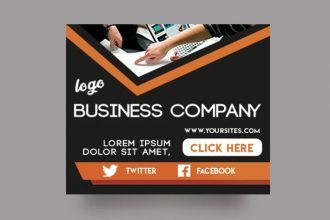 Our exclusive free business banner templates in PSD are a perfect solution for the promotion of any type of business, corporate, startup, etc. If you are looking for Free Facebook advertisement, you are welcome to download our new freebie – Free Trance Music Facebook Event Page. Add the necessary design on it and enjoy the results! 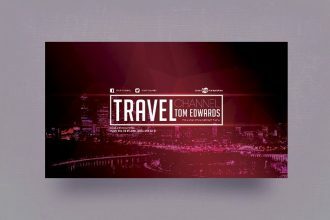 You are welcome to download Free Travel YouTube Channel Banner for your business advertisement and professional design. Get this freebie and use it as man times as necessary! You are welcome to download our new freebie – 15 Free Fashion Banners Collection in PSD! 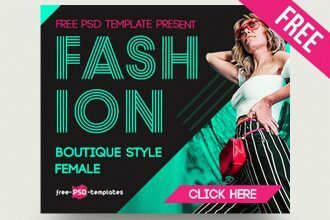 Our exclusive free fashion banner templates in PSD are a perfect solution for sales in fashion boutiques, clothing and apparel stores,online clothing shops. 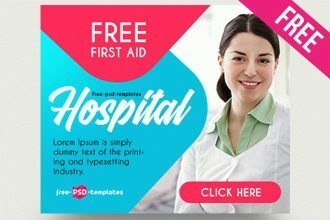 Download this awesome freebie – 15 Free Hospital Banners Collection in PSD to make advertisement and the necessary promotionsl campaign for your business. There are some simple but very effective banners for your business. Download and enjoy! 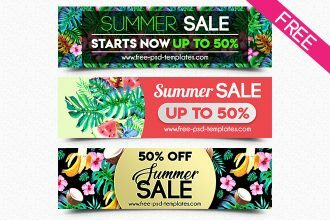 Download Free Summer Sale Banner in PSD for your creative ideas and perfect design. They will be great for print advertisement and online promotions. Download and enjoy! 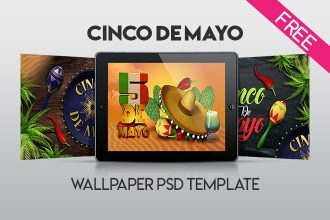 Free Cinco de Mayo Wallpaper in PSD it is our new Freebie for your business and professional design. You are welcome to download this free PSD template and enjoy the results!